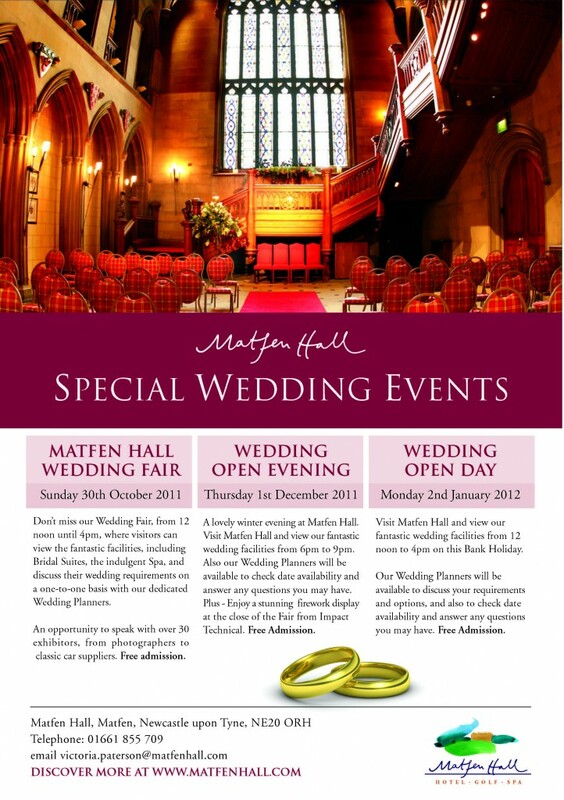 Set in 300 acres of beautiful Northumbrian countryside, yet a short drive from Newcastle city centre, Matfen Hall is a idyllic venue for your wedding celebrations. We understand the importance of this very special day and want to ensure that you enjoy this memorable and happy occasion. To ensure that you have the full and undivided attention of the entire team at Matfen Hall, weddings are limited to one per day. Exclusive use for you and your guests gives you the opportunity to host your family and friends as they enjoy the privacy seclusion of the East wing in a relaxed environment. 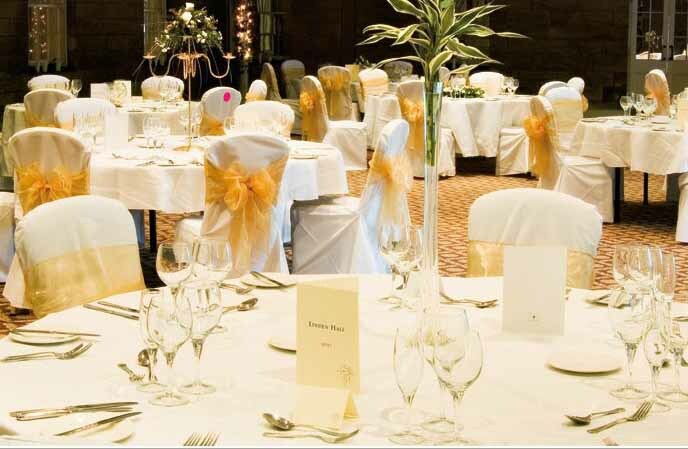 We are registered for Civil marriages & Civil partnerships, and the Great Hall is a romantic setting for your ceremony, seating up to 120 guests. We have a very close relationship with Holy Trinity Church in Matfen village, should you prefer to have a religious ceremony. There are some legal restrictions as to who can be married in any particular church, but Reverend Mark Nash Williams will gladly find a way to marry you if he possibly can. Perfect for your drinks reception and photographs, the Dutch Gardens and surrounding estate provides the ideal backdrop for this unforgettable day. The historic Terrace rooms creates a grand atmosphere for your wedding breakfast and our extensive cellar, now known as the Vault Bar, is a stylish space to dance the night away! With a capacity for 250 guests, the Great Hall, Sir Edwards Room and the Vault Bar are available for your evening reception.